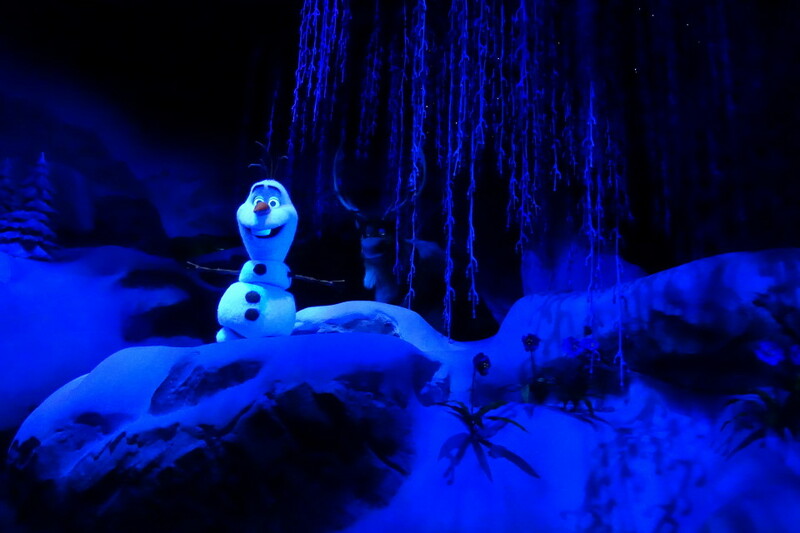 The ride Frozen Ever After replaced Maelstrom at Epcot in June 2016. 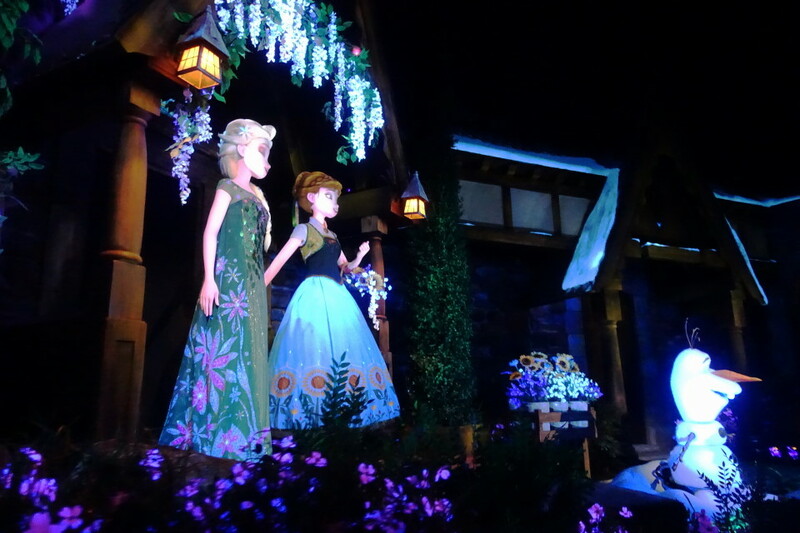 Using essentially the same ride system as Maelstrom, it takes you into and out of a special Summer Snow Day Celebration in Arandelle, along the way revisiting all of the key characters from Frozen and from the short Frozen Fever. …from which, curiously enough, you can see Hogsmeade in the distance. Just kidding. 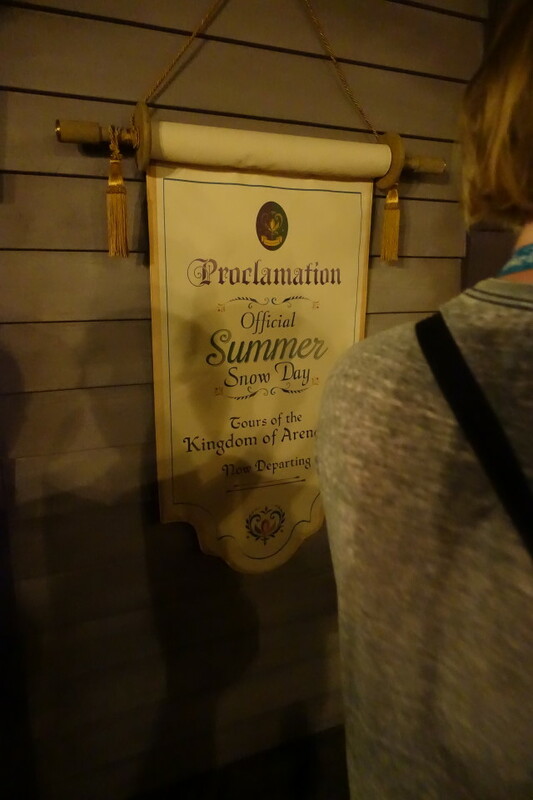 You then pass a sign that gives you the only hint of the story of the ride–that is a winter day in summer, and that you will be touring Arandelle during the celebration of it. 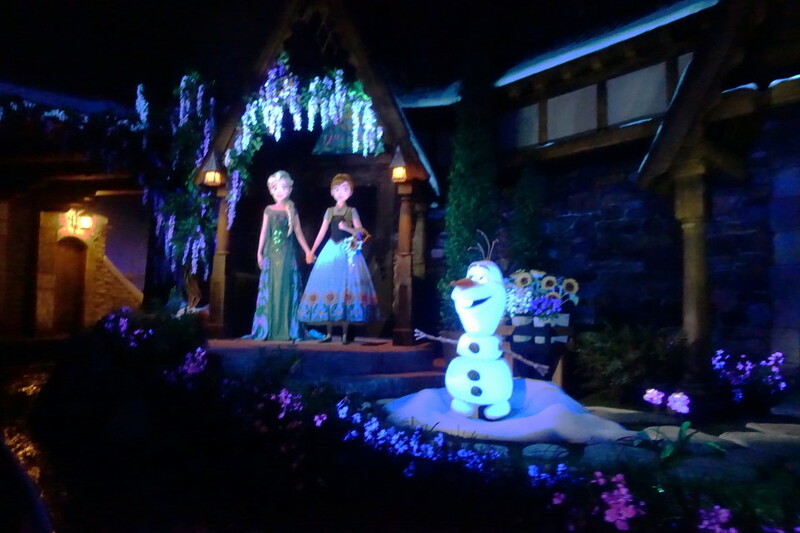 and visit with the key Frozen and Frozen Fever folk. 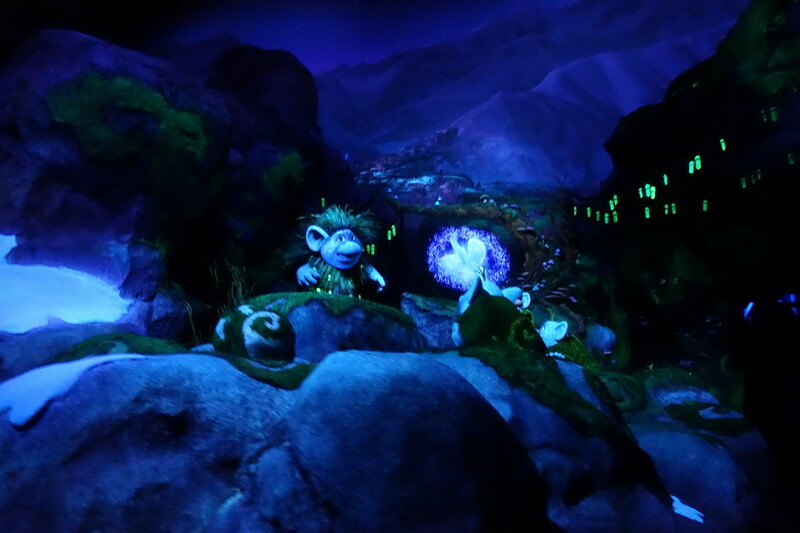 The animatronics and setting are very well done–my pictures don’t really do them justice. You will also, as you might imagine, hear some familiar tunes! A must-see for those who love the movie and its songs, there’s not much to this ride for anyone else. 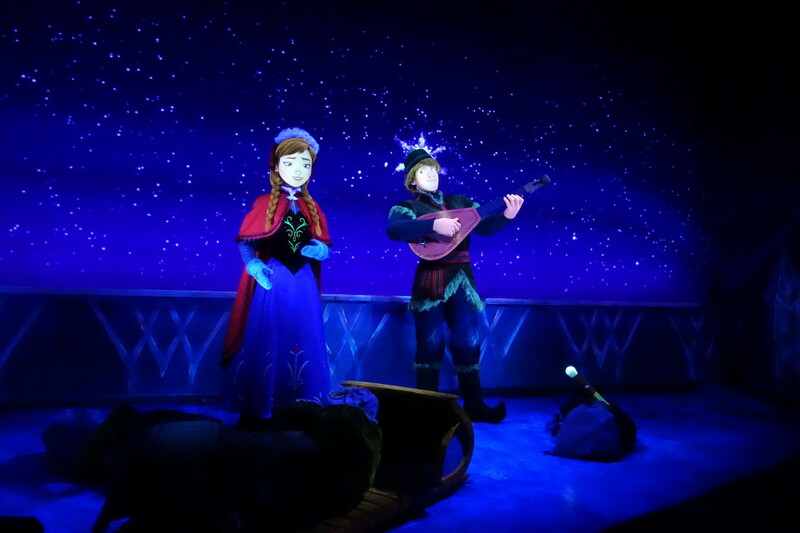 A family trying to negotiate a minimum Frozen dose for their trip would be better served at the Frozen Sing Along at Disney’s Hollywood Studios, where humor makes that show of broader appeal. 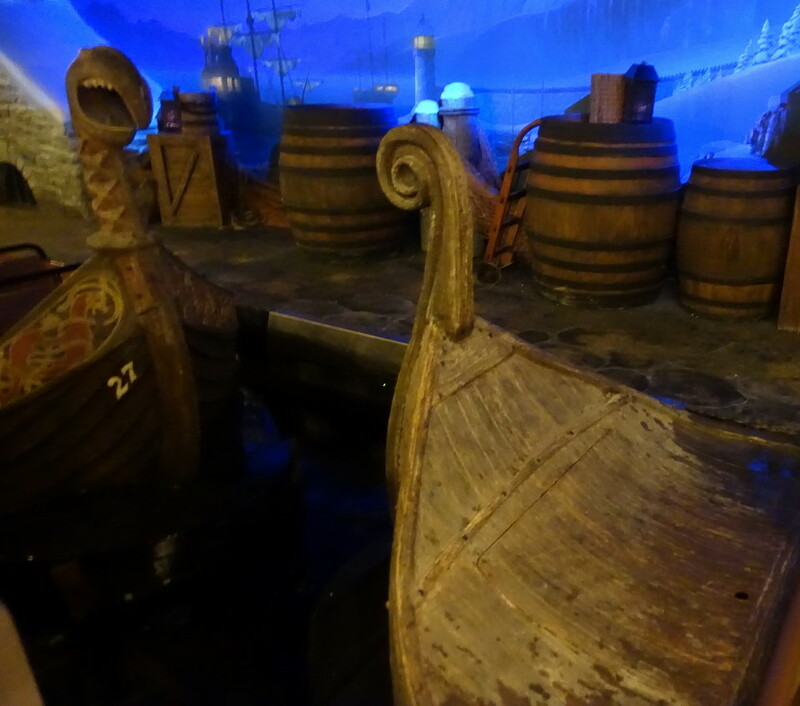 The use of the old ride system means that this ride has a relatively low hourly capacity of about a thousand people. 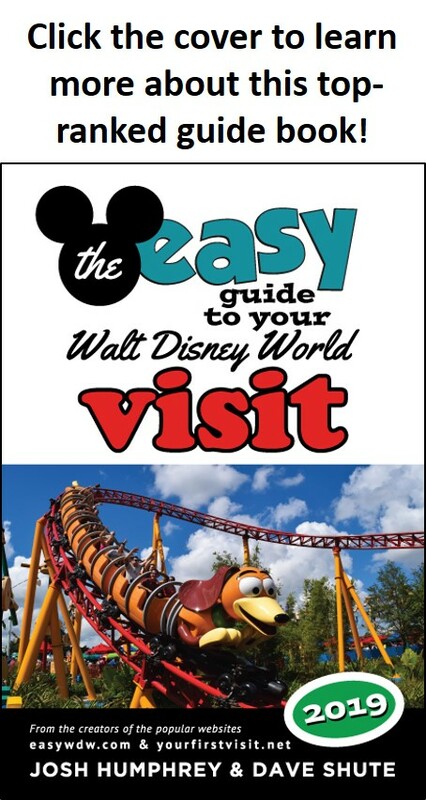 As a result, you should aim for FastPass+ or ride it at park close. 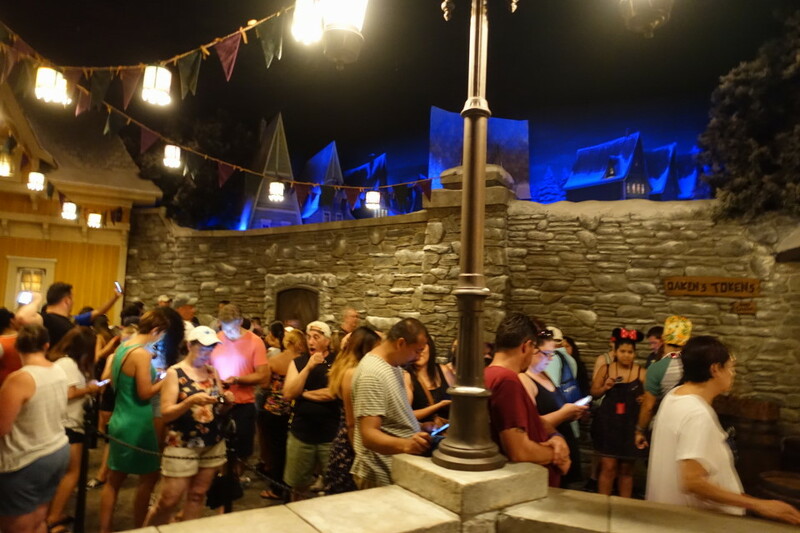 The low capacity, proportion of rides allocated to FastPass+, people coming from early breakfasts, etc., breakdown history, etc., means that counting on low waits by arriving early may be a bad bet. 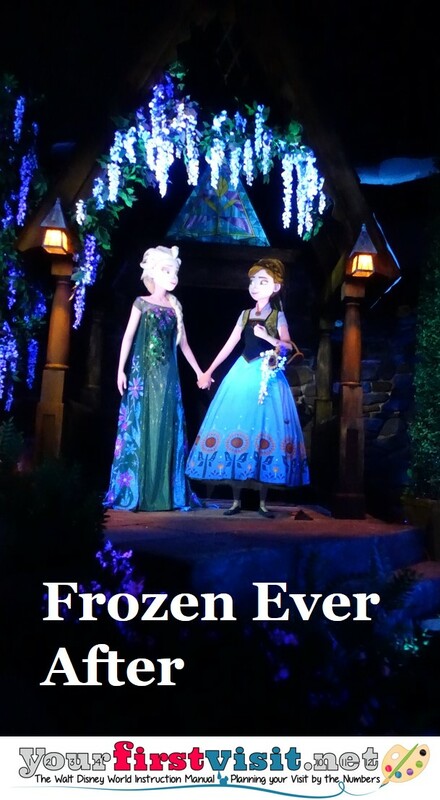 For more on strategies for trying to see Frozen Ever After while avoiding long waits, see this from my co-author Josh. Hi Dave, just finalized our plans for Nov ’19 (Thanksgiving week)! Our last visit was Nov ’15 so a lot has changed. 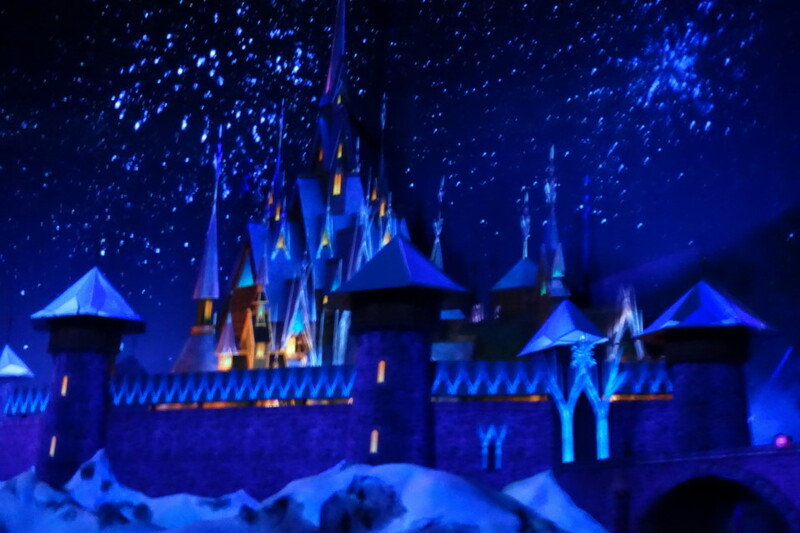 I’m thinking that Frozen Ever After will be our toughest FP to get (as long as the Star Wars isn’t open yet….but we’re not really interested in Star Wars). Is that true? Is Frozen still a hard one to get? Most others we’ll want are for much older rides, like Space Mountain, Test Track etc. Thanks! 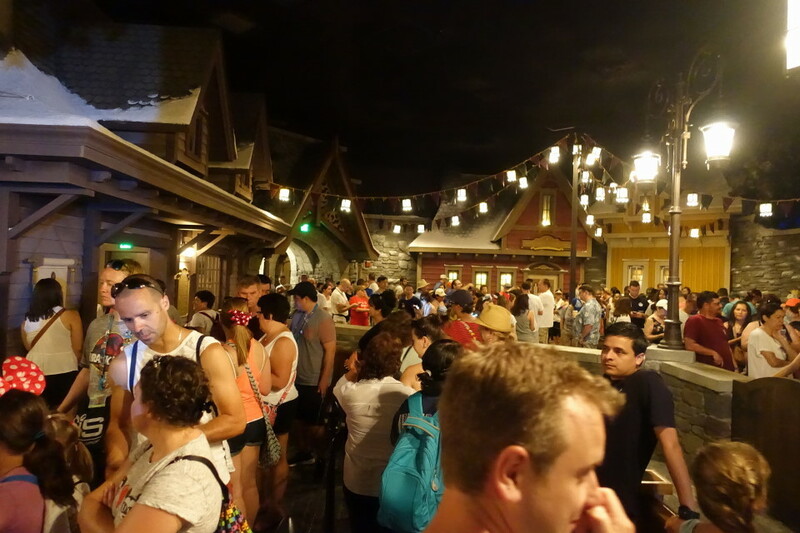 Jane, lately Flight of Passage and Seven Dwarfs Mine Train have been the hardest FP+ to get. By your date (ignoring Star Wars), Mickey and Minnie’s Runaway Railway will join that list. 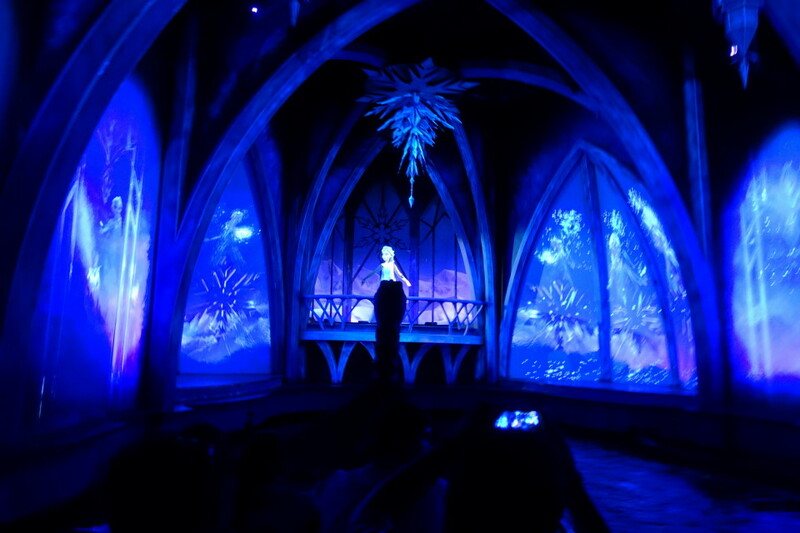 Frozen Ever After has gotten easier, as it is not a ride that engenders much repeat visits.